Employers can hire temporary workers through the Temporary Foreign Worker Program (TFWP) or the International Mobility Program (IMP). The IMP lets employers hire foreign workers who bring broader economic, cultural or other competitive advantages for Canada or offer reciprocal benefits for Canadians and permanent residents. Under this category, employers do not have to apply for a Labour Market Impact Assessment (LMIA) but the foreign national still needs a work permit in most cases. A work permit without an LMIA may be issued pursuant an agreement between the Canadian government and one or more other countries or Provinces/Territories. Under IMP there are various international non-trade agreements that allow individuals to work in Canada short-term. For example, airline personnel and performing artists can work in Canada without applying for an LMIA. Individuals can apply for a work permit without needing an LMIA when for instance they have a certificate of nomination of one of the Provinces. Each work permit has its own requirements, procedures and guidelines. This category allows requesting a work permit due to extraordinary circumstances of a particular situation. Under this category, in certain situations or depending on the type of operation, entrepreneurs or self-employed persona can be issued a work permit. Also, Intra-company transferees with specialized knowledge or as an executive manager can obtain a work permit without an LMIA. Emergency repair personnel and repair personnel for out-of-warranty can be granted a work permit under this category. The open spousal work permit and the post-graduate work permit are two notable examples of this category. Religious and charitable workers can apply for a work permit under this category. A work permit is needed even if the work is not paid. You can find more information about LMIA exempt work permits, application forms and employers’ responsibilities on Immigration, Refugees and Citizenship Canada’s International Mobility Program web page. 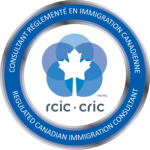 If you want our assistance in bringing a foreign worker to Canada contact us.